NORFOLK, VA. – Norfolk Southern has been named one of the nation’s Top 100 Military Friendly Employers® by G.I. Jobs magazine in its 11th annual list recognizing companies with the best military recruiting and hiring practices. Making its seventh appearance on the list, Norfolk Southern ranked 75th. The list of 100 companies represents the top 2 percent of more than 5,000 eligible companies with annual revenues exceeding $500 million. Criteria include strength of company military recruiting efforts, percentage of new hires with prior military service, retention programs, and company policies toward National Guard and Reserve service. Norfolk Southern actively recruits people with military backgrounds for careers in railroad operations and management. Over the past seven years, NS has hired 2,400 veterans, and 12 percent of the total NS workforce - some 3,500 employees - are veterans, members of the National Guard, or reservists. Norfolk Southern recruits veterans through its www.NorfolkSouthern-veterans.jobs website, which allows veterans to search for railroad employment opportunities using their military job titles. Recruiters also attend job fairs on military bases and at the federal government's Transition Assistance Program classes. Service members preparing to leave the military can register with Norfolk Southern indicating their separation date and desired work locations, and recruiters will contact them with current job opportunities. Additionally, Norfolk Southern provides training to help veterans who have management experience transition into supervisory roles within the company. And if veterans are called to active duty through the Reserves or National Guard while working at Norfolk Southern, they can once again serve their country with the assurance that their jobs will be waiting for them when they return. NORFOLK, VA. – The Norfolk Southern Foundation is committing $50,000 in emergency funding to the American Red Cross to help the Philippines recover from Typhoon Haiyan. JACKSONVILLE, Fla. - November 6, 2013 - U.S. Vice President Joe Biden and Secretary of Transportation Anthony Foxx visited CSX's state of the art Northwest Ohio Intermodal Terminal in Wood County on Wednesday. The event was the Vice President's most recent stop on a tour focused on the importance of infrastructure investment following visits to the Ports of Baltimore, Savannah, and Charleston. CSX's $175 million intermodal rail facility opened in 2011, providing nearly 300 full-time, local jobs and spurring growth and economic opportunity by improving access to cost-effective, environmentally friendly intermodal freight rail transportation. "Being able to efficiently move cargo and goods is essential to this country's economy," remarked Vice President Biden. "CSX and the Northwest Ohio Intermodal Terminal have led the revitalization of this region by providing strong, middle-class jobs, supporting local businesses and improving our nation's infrastructure to keep America competitive globally." Vice President Biden and Secretary Foxx had a full day while visiting the intermodal facility, taking part in a driving tour and training simulator demonstration as well as meeting employees and local residents. During spoken remarks, the Vice President, Secretary of Transportation and CSX executives discussed the importance of infrastructure investment in improving America's competitiveness, strengthening the middle class, and growing the American economy. "Infrastructure projects like this cutting-edge facility are the backbone of a growing American middle class and a thriving American economy," said Anthony Foxx, secretary, U.S. Department of Transportation. "This facility provides tremendous benefits locally, regionally and for the entire nation." "In an area where service from East Coast ports once took up to a week, it now only takes two to three days for goods to be shipped through the facility and delivered to the customer's door," said Oscar Munoz, executive vice president and chief operating officer, CSX Transportation. "We are very proud of our role in keeping America competitive by investing in infrastructure here in Ohio, at mid-Atlantic ports, and throughout our network. CSX appreciates the Vice President's long-standing support for our work here today and in the future." Situated on more than 500 acres in Wood County, Ohio, just one mile west of North Baltimore, the Northwest Ohio Intermodal Terminal is a world-class, environmentally friendly freight distribution hub for the Midwest and the nation. Handling 30 trains per day and moving hundreds of thousands of containers per year, the terminal helps link East Coast seaports with vital points in the Midwest, such as the markets of Cincinnati, Columbus and Louisville. The terminal has created new routing possibilities and growth opportunities for inland locations and allows for faster, more reliable transit from the West Coast, allowing shippers to bypass delays in congested areas like Chicago. It is the nerve center of CSX Transportation's intermodal network and the cornerstone of the company's double-stack freight initiative, the National Gateway. The National Gateway is CSX's award-winning $850 million public private partnership to create a highly efficient and environmentally-friendly, double-stack cleared rail corridor between the Mid-Atlantic and Midwest. As one of the nation's largest transportation projects, over a 30 year period, the National Gateway will create more than 50,000 jobs and deliver a host of benefits including reduced fuel consumption, lower emissions, better safety, lower highway maintenance costs and reduced shipping costs. JACKSONVILLE, Fla. - November 5, 2013 - The Association of American Railroads (AAR) today awarded its highest honor for environmental professionals, the 2013 North American Environmental Employee Excellence Award, to CSX manager of environmental remediation Matthew Adkins. Adkins was one of seven industry professionals nominated for this annual award, and is the sixth CSX employee to win in the last 12 years. Adkins is a longtime CSX employee who began his career as an environmental specialist in Corbin, Ky., in 1996. He recently led a team that successfully remediated the former Gautier Oil creosote treatment plant in Gautier, Miss., spending nine years investigating, designing, and executing a plan to restore and enhance the 24-acre coastal site. Now part of a conservation easement, the site was granted Wildlife at Work certification by the Wildlife Habitat Council. "Matt is an exemplary steward of CSX's environmental efforts who has successfully managed a number of complex remediation projects, demonstrating strong leadership, creativity and superior project management skills," said Skip Elliott, vice president, public safety, health and environment. "Across projects, he consistently engages stakeholders including local leaders and community organizations to generate the best possible results for everyone involved." Adkins is a strong proponent of continuing education opportunities and uses his time and talent to develop training courses and materials for CSX employees and other industry professionals. He was instrumental in the creation of the Direct to Locomotive Fuel Vendor Review protocol, which he continues to manage across the CSX network. This successful program evaluates the work performance by the vendors and provides a means for additional training and constructive feedback. Adkins is the second CSX employee to be recognized with an industry environmental award this year. In May, the AAR named Rick McNey, CSX manager of maintenance for the Curtis Bay Pier in Baltimore, MD, winner of the 2013 John H. Chafee Environmental Excellence Award for his commitment to environmental stewardship. JACKSONVILLE, Fla. - November 6, 2013 - Fredrik Eliasson, CSX Corporation (NYSE: CSX) executive vice president and chief financial officer, will address the Goldman Sachs Industrials Conference in Boston, Wednesday, November 13, at 10:15 a.m. Eastern time. JACKSONVILLE, Fla. - November 5, 2013 - Oscar Munoz, CSX Corporation (NYSE: CSX) executive vice president and chief operating officer, will address the Stephens Fall Investment Conference in New York City, Tuesday, November 12, at 9:00 a.m. Eastern time. 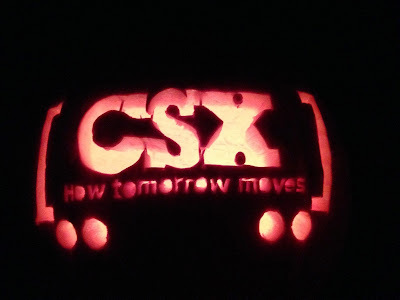 CSX, based in Jacksonville, Florida, is a premier transportation company.It provides rail, intermodal and rail-to-truck transload services and solutions to customers across a broad array of markets, including energy, industrial, construction, agricultural, and consumer products. For more than 185 years, CSX has played a critical role in the nation's economic expansion and industrial development. Its network connects every major metropolitan area in the eastern United States, where nearly two-thirds of the nation's population resides. It also links more than 240 short-line railroads and more than 70 ocean, river and lake ports with major population centers and small farming towns alike. More information about CSX Corporation and its subsidiaries is available at www.csx.com. Like us on Facebook (http://www.facebook.com/OfficialCSX) and follow us on Twitter (http://twitter.com/CSX). Following article is from the New York Daily News. 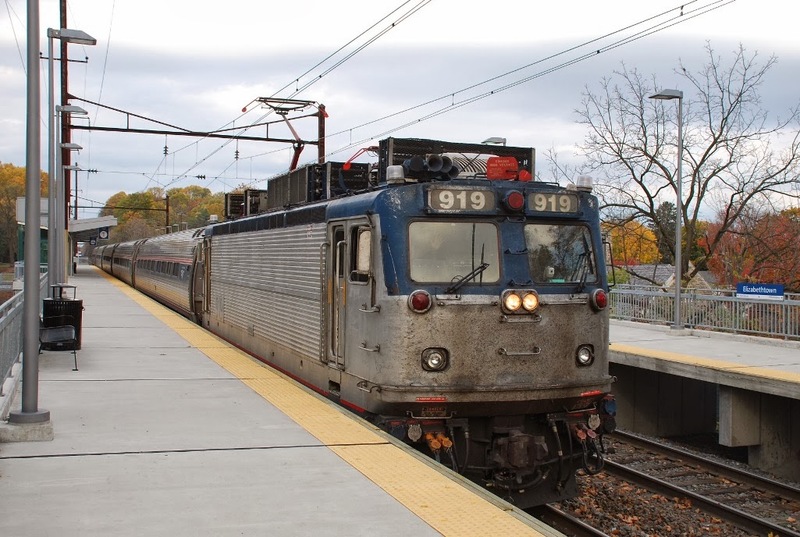 Service was temporarily suspended on the Raritan Valley line after a train collided with a police cruiser in Bridgewater, N.J. No passengers were on board, but a police officer was taken to the hospital with injuries that were non-life-threatening. The officer was already in the area to investigate reports of trespassers on the tracks. At the time of the accident, the cruiser was along the train’s “right of way,” meaning it was “adjacent to the tracks,” New Jersey Transit spokesman John Durso Jr. told the Daily News. The left side of the car bore the brunt of the train’s impact, sustaining significant damage. 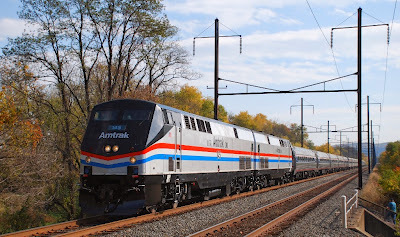 Amtrak’s Autumn Express train, with Amtrak 145 and 822 in command of the sixteen car consist, is seen passing over the Vinegar Ferry Road underpass on November 2 on NS’s Port Road tracks. Back in the early 1800’s, a German landholder named Christian Winiker operated a ferry near this location. Pronunciation of his name soon became locally corrupted to "Vinegar" and today this location is known as Vinegar Ferry. In another mile, the Autumn Express will cross the Susquehanna River via Shocks Mill Bridge on its way to Harrisburg and return to Philadelphia via the Port Road and Columbia Secondary. 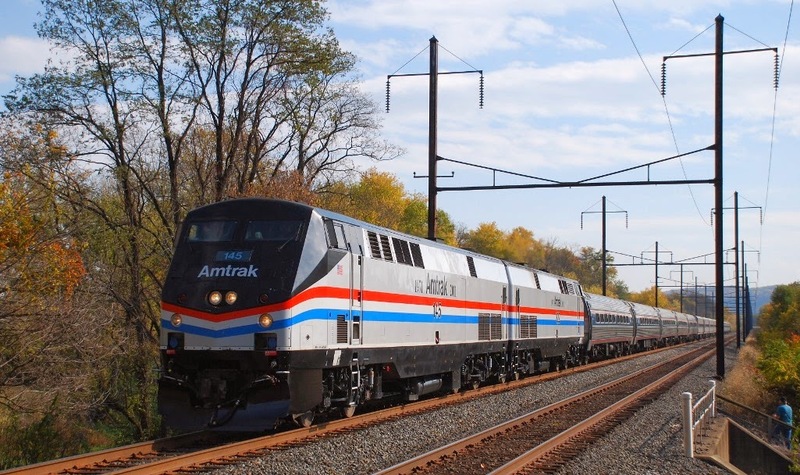 Amtrak's Keystone Service train 664, with Amtrak 919 (AEM-7), makes its 9:47 stop at Elizabethtown to pick up passengers heading to Philadelphia and points east. 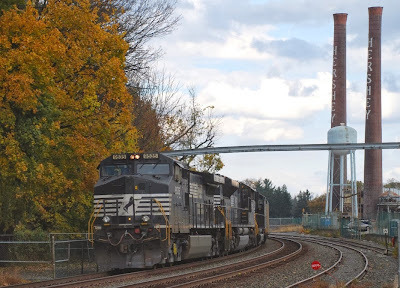 Back on February 10, 2013 while visiting Hershey, I was fortunate enough to photograph NS H2A, also known as "The Hershey Shifter", with NS 5662 (EMD GP38-2; ex-PC 7726, NS 2907 & CR 7726, all GP38s) leading a cut of cars west. In the background was the iconic smokestacks with "Hershey" spelled out in the brickwork. It is nine months later, November 2 when a similar scene is taken. NS 9535 (GE C40-9W) plus two unidentified diesels leads what I assumed was an empty coal cars west. However there is something missing in this scene. Those two smokestacks are still there but the manufacturing plant has been eliminated from this scene. Received the following via email. Carvings by George Miller. 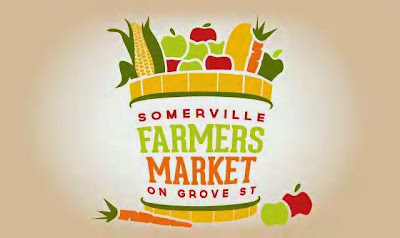 Somerville Farmers Market Extended Season! 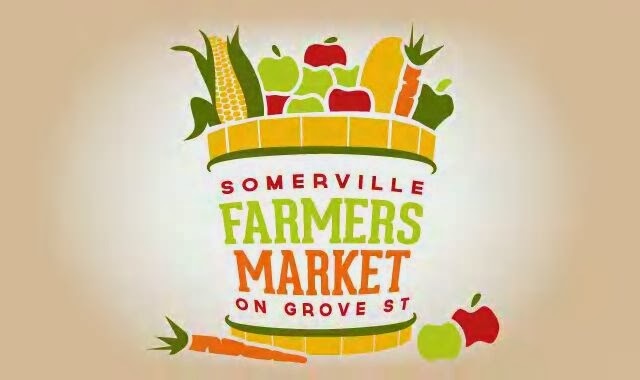 Somerville Farmers Market Season Extended! So, bet you're wondering why we didn't thank our Market purveyors and visitors for a great season at this past Thursday's Market, the supposedly "official" last day of the Market Season. That's because the amazing purveyors of the Downtown Somerville Farmers Market have offered to extend the Market another 3 weeks! Stop by Thursdays this week through November 21st, noon until 5, and support the Market! But don't try to find the Market at its usual location on Grove Street 'cause we've moved the Market to the Division Street Plaza! Note: Our shop is located on Main Street just around the corner from the Division Street Plaza. Please stop in and check us out. Remember, Christmas is coming soon. This was reported on Railway Preservation News. "Santa Claus steam train rides will be held on Saturday, November 30, at Minersville, PA. They will be sponsored by Project 113 in conjunction with the Reading and Northern Railroad. Both Reading and Northern 425 and Jersey Central 113 will be under steam. Price for adults is $12.00 and children $9.00. With each paying adult fare, one child's ticket will be complementary. Trains will depart at 11:00 AM, 1:00 PM, and 3:00 PM and seating is limited. Reservations for advanced sale tickets are strongly suggested. Only a limited number of tickets will be sold on the day of the event. Further information may be obtained by contacting the Minersville station at 570-544-8300. Santa will be on the train. " 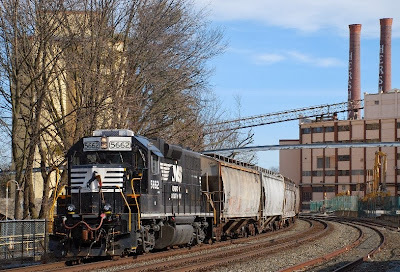 George Miller, one of our customers, sent us the following pictures of the NS Virginian heritage unit on the LEHL in Cranford, NJ. Photos taken on 10-27-13. 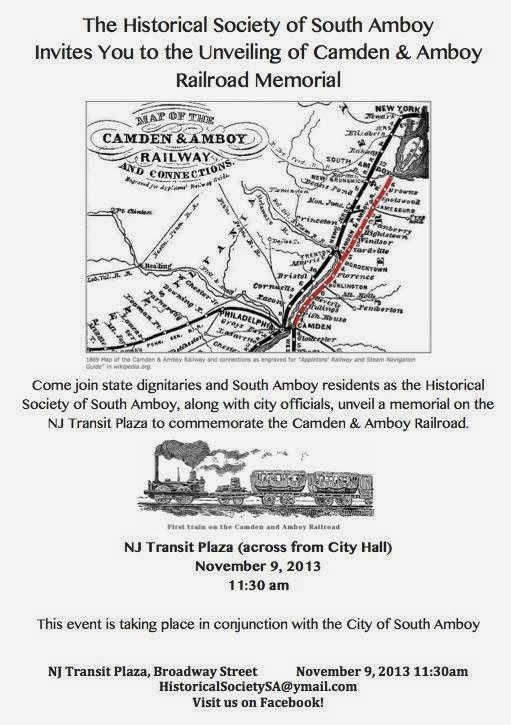 The Middletown & New Jersey Railroad is proud to announce that on December 8, 2013 we will operate our Second Annual "Operation Toy Train" in the Hudson Valley Area. Our mission is to collect donated toys for the U.S. Marine Corps Reserve Toys for Tots Foundation. "Operation Toy Train" has been a program since 2009 in NJ. In 2012, more than 10,000 toys were collected on the train. All toys collected will be distributed to needy families in the area. Along the route, the train will stop at 5 locations in NY where members of the public can drop off toys, see Santa Claus, experience a variety of working railroad equipment, and meet members of the Marine Corps. Five railroads are loaning engines, rolling stock, and use of their tracks to "Operation Toy Train". They are the Morristown & Erie, New York, Susquehanna & Western, Norfolk Southern, Middletown & New Jersey, and New Jersey Transit. In addition to the Marines Corps Reserve, volunteers from the Military Transport Association of Northern NJ and the Volunteer Railroaders Association will help run the event. Members of the public are encouraged to drop off new, unwrapped toys at various collection points along the route in the first two weeks of December. At each stop, one or more businesses or organizations has a large collection box. All information will be posted to _www.facebook.com/OperationToyTrain_ . On Saturday, December 7th, the train will stop in Rochelle Park, Hawthorne, Wortendyke, Wyckoff, Oakland, Pompton Lakes, and Butler along the New York, Susquehanna & Western Railway. Sunday, December 8th the train will start off in Warwick, and continue on to Sugar Loaf , Campbell Hall, Montgomery, and Walden along the Middletown & New Jersey Railroad. On Saturday, December 14th , the train will stop in Flanders, Ledgewood, Kenvil, Dover, and Rockaway along the Morristown & Erie Railway. Train will be parked in Warwick overnight December 8, and the collection of toys will begin in Warwick at 9am. We will depart Warwick at 10am and arrive in Sugarloaf at 10:20am. The train will depart Sugarloaf at 11:15am and arrive in Campbell Hall at 12:05pm. It will depart at 12:50pm and head to Montgomery and arrive at 1:15pm. It will then arrive for its last stop in Walden at 2:35. The train will depart Walden at 3:20. The mission of the U.S. Marine Corps Reserve Toys for Tots Program is to collect new, unwrapped toys during October, November, and December each year and distribute those toys as Christmas gifts to needy children in the community where the campaign is conducted. LANCASTER, PA. – In a private ceremony today attended by Norfolk Southern CEO Wick Moorman, Lt. Governor Jim Cawley, State Senator Tommy Tomlinson, Drexel University President John Fry, and numerous government and business officials, family and friends, NS renamed its Dillerville Yard here in honor of H. Craig Lewis. After serving as state senator for the 6th District in Bucks County for five terms (1975-1994), Lewis joined NS as vice president corporate affairs in 1997, retiring from the railroad in 2009. He died unexpectedly earlier this year. The expansion of Lewis Yard began in early 2009 following several years of studies and design and will be completed next month. The yard expansion is part of the Lancaster Northwest Gateway Project, a $75 million plan to remediate and redevelop approximately 75 acres of urban brownfields to enhance economic development opportunities in the City of Lancaster by connecting the city street grid system, creating urban green spaces, and providing campus development sites for Franklin & Marshall College and Lancaster General Health on land formerly owned by Armstrong World Industries and NS. The final segment of the Gateway Project will begin in the spring of 2014 when the railroad transfers ownership of approximately 28 acres of its yard east of Dillerville Road to Franklin & Marshall and Lancaster General. This work is expected to take 12 months to complete. JACKSONVILLE, Fla. - October 31, 2013 - CSX Transportation Inc. has signed a landmark agreement with four labor unions that sets new standards of quality and productivity at the company's Huntington (W.Va.) Locomotive Shop. The agreement covers a variety of work, including locomotive rebuilds. The unions signing the agreement are the Transportation Communications Union's Carmen Division, the International Brotherhood of Boilermakers, the International Association of Machinists and Aerospace Workers, and the Sheet Metal, Air, Rail and Transportation Workers. "This is an innovative contract by CSX and its union-represented employees at the Huntington facility," said Ken Mason, CSX vice president-labor relations. "This is a true win-win agreement that provides the right incentives for improved worker flexibility and the ability to drive significant improvements in quality, production and efficiency." Jeff Doerr, president and directing general chairman of International Association of Machinists and Aerospace Workers, District 19, also praised the agreement. "This historic agreement proves that by working efficiently, railroad unions can compete with outside contractors even at higher rates of pay with superior benefits," Doerr said. Under the agreement signed October 23, members of all four unions may perform all assigned work without regard to craft or union affiliation. Covered employees will received a $500 signing bonus, a $1 hourly efficiency differential, and guaranteed employment for the duration of the four-year agreement. In addition, the current ratio of members of each union currently working at the Huntington Locomotive Shop will be preserved, Mason said. CSX, based in Jacksonville, Florida, is a premier transportation company. It provides rail, intermodal and rail-to-truck transload services and solutions to customers across a broad array of markets, including energy, industrial, construction, agricultural, and consumer products. For more than 185 years, CSX has played a critical role in the nation's economic expansion and industrial development. Its network connects every major metropolitan area in the eastern United States, where nearly two-thirds of the nation's population resides. It also links more than 240 short-line railroads and more than 70 ocean, river and lake ports with major population centers and small farming towns alike. More information about CSX Corporation and its subsidiaries is available at www.csx.com. 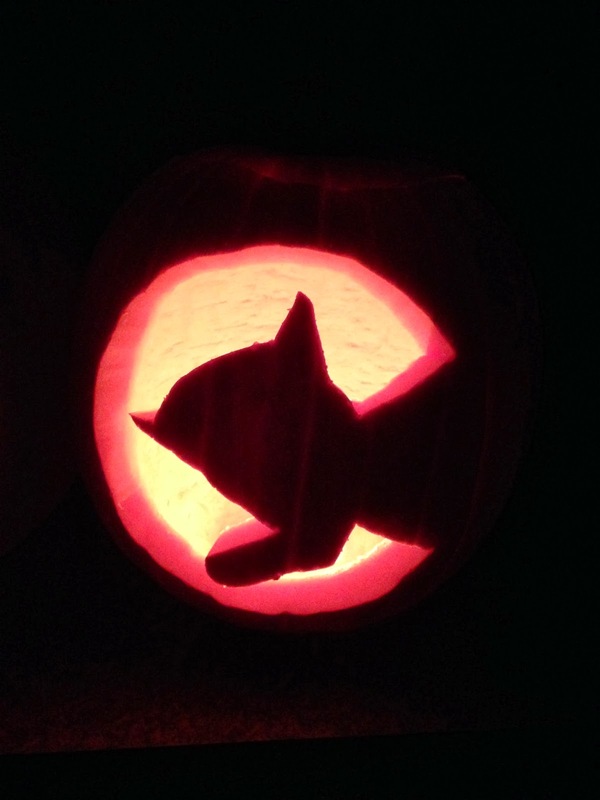 Like us on Facebook (http://www.facebook.com/Official CSX) and follow us on Twitter (http://twitter.com/CSX). JACKSONVILLE, Fla. - October 31, 2013 - Fredrik Eliasson, CSX Corporation (NYSE: CSX) executive vice president and chief financial officer, will address Morningstar, Inc.'s Management Behind the Moat Conference in Chicago, Thursday, November 7, at 9:45 a.m. Central time / 10:45 a.m. Eastern time. Presentation materials will be available the day of the event on CSX's website at http://investors.csx.com. JACKSONVILLE, Fla. - October 30, 2013 - Fredrik Eliasson, CSX Corporation (NYSE: CSX) executive vice president and chief financial officer, will address Baird's 2013 Industrial Conference in Chicago, Wednesday, November 6, at 8:30 a.m. Central time / 9:30 a.m. Eastern time.